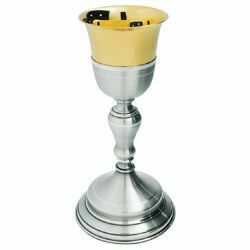 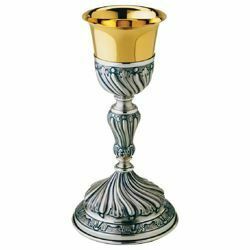 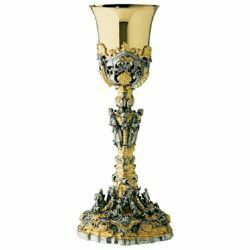 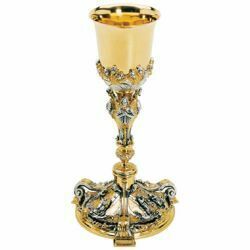 Wide selection of liturgical Chalices, Ciboria and Patens manufactured by experienced italian handcraftsmen. 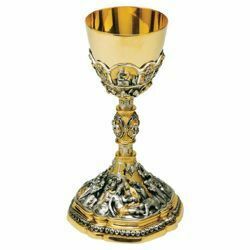 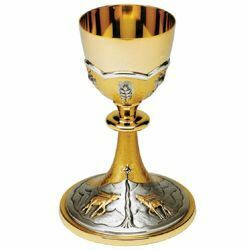 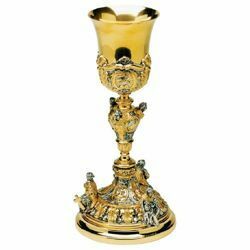 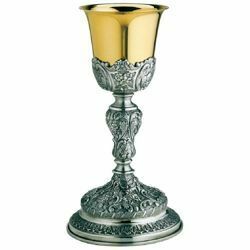 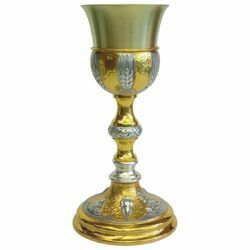 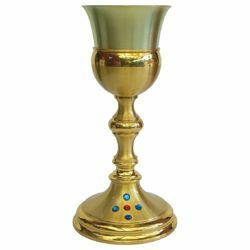 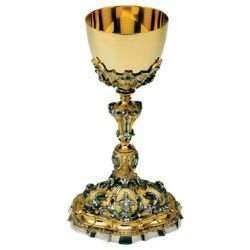 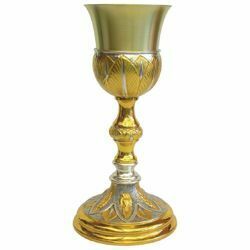 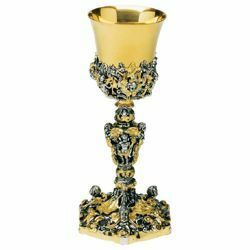 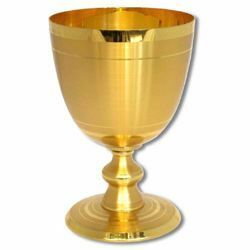 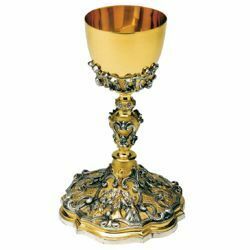 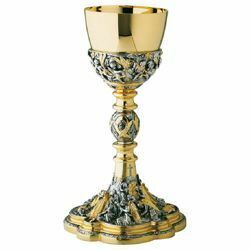 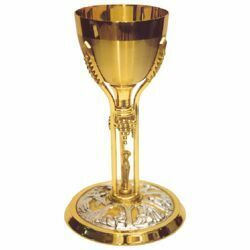 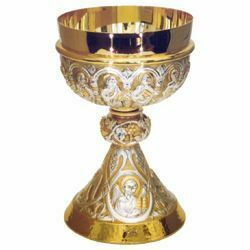 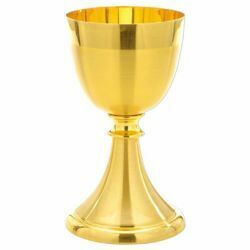 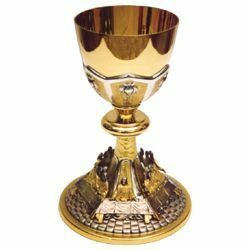 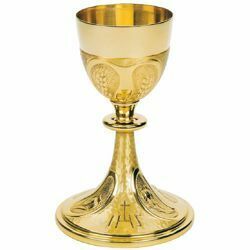 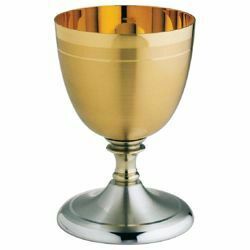 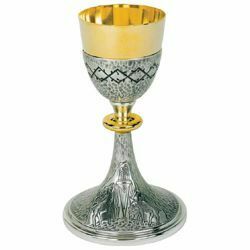 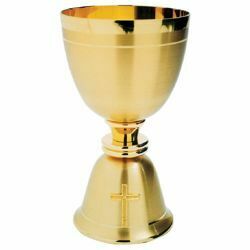 Economic Catholic chalices for Holy Mass wine, liturgical goblets in vintage, baroque and modern style, Ciboria with lid in small and large sizes for Church celebrations, Offertory Patens and simple Bowls for Sacramental bread. 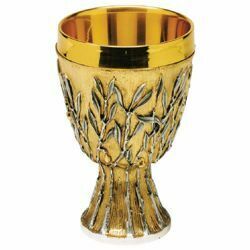 Chalices, Ciboria and Patens handmade from bronze, brass, silver, gold and olive tree’s wood and decorated with liturgical symbols such as Angels, Twelve Apostles, Bread, Lamb and Tables of Law, Scenes from the Life of Jesus, crosses, Fish, Grapes and Ears of Corn, Evangelists, Pax, Good Shepherd, Stags at Spring, Crown of Thorns. 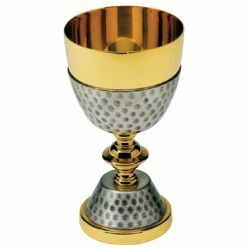 Excellent quality/price ratio - 100% Made in Italy.